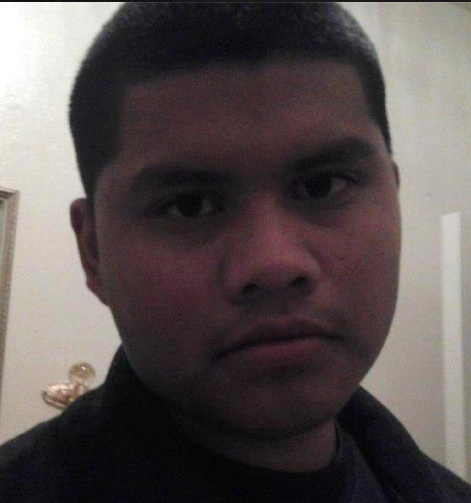 FRESNO — An 18-year-old kid is now dead because a cop with the Fresno Police Department wanted a paid vacation. The summary execution took place around 5:30 p.m. Sunday night in Southwest Fresno near Bardell and Lorena Avenue. Fresno head cop Jerry Dyer told KFSN TV-30 two cops that are part of the “Fresno Police Violent Crime Impact Team” pulled over a vehicle after it allegedly made an illegal U-turn. These “task forces” are common in all large cities, mainly for the purpose of harassing and arresting black and Latino youth. Fresno police are saying Mr. Ma “was armed” and was “part of a gang” to justify the murder in the eyes of mainstream media and cop suckers. However, the United States has a Second Amendment that gives Americans the right to bear arms. There’s also no evidence Mr. Ma actually had a gun, other than the cops’ word, which means absolutely nothing. It seems we’re always bringing up the 1985 U.S. Supreme Court decision in the case of Tennessee vs. Garner, which specifically outlaws cops from gunning down “fleeing suspects.” But once again, U.S. police have far too much incentive to kill and they know its rare they’ll be held accountable in any way. Mr. Christian Freeman, Joseph’s older brother, said via Facebook “I never knew something like this would ever hit so close to home. The cops killed him. Justice needs to b[e] served.” Judging from Mr. Ma’s profile, he was a young man interested in girls and partying…you know, like most kids his age. 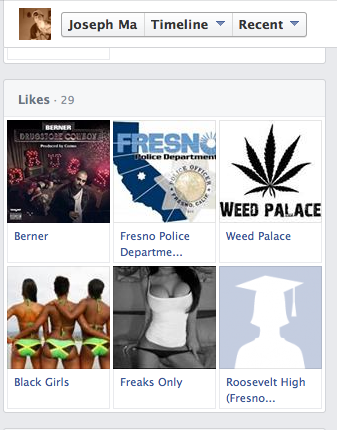 Ironically, he also “liked” the Fresno Police Dept., despite said organization now trying to paint him as some type of criminal who deserved to be gunned down for no reason. For those wanting to label Mr. Ma because of the weed photo, possession of one-ounce of cannabis in CA is a civil infraction that carries a $100 fine. We will update this story as more information comes in. Our thoughts are with Mr. Ma’s family.